the bottom or are eaten by scavengers such as turtles and crayfish. related to pollution or improper use of herbicides or other chemicals. occurs on the hottest days of mid summer. numbers of dead fish which bloat as the water warms in early spring. the fungus was not the cause of death. below 1 ppm for extended periods of time are lethal. relatively tolerant. Bullheads and certain minnows are very tolerant. sensitive species are rare, and prey greatly outnumber predators. extreme die-offs is fish restocking necessary. the supply of oxygen stored in the lake when the lake froze over. storage capacity and high rates of oxygen-consuming decomposition. acre of water by running a small outboard motor for about 4 hours. that bottom mud is not stirred up along with the water. nutrient-rich sediment, and reduce the growth of nuisance plants. types of plant fertilizers out of the lake. such as perch, bass, pike and suckers. Lake Michigan caused by bacteria kidney disease (BKD). danger and swim to safety in time. 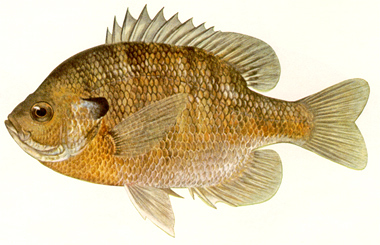 reported during the hot summer of 1995.
than small fish, may be killed selectively. oxygen will not become depressed to critical levels. may be thought of as nature’s way of thinning out fish populations.